Lethe, being a river in the Greek underworld from which souls drink in order to be reincarnated and reenter the world of the living, causes one to completely forget their former life. Drinking of Lethe, therefore, represents a moment of extreme transition, renewal, and loss experienced in order to move ahead. Moreover, as a soul nears Lethe and its promise of amnesia, it seems natural that it would rifle through all of its memories and linger on those that have emotional significance. 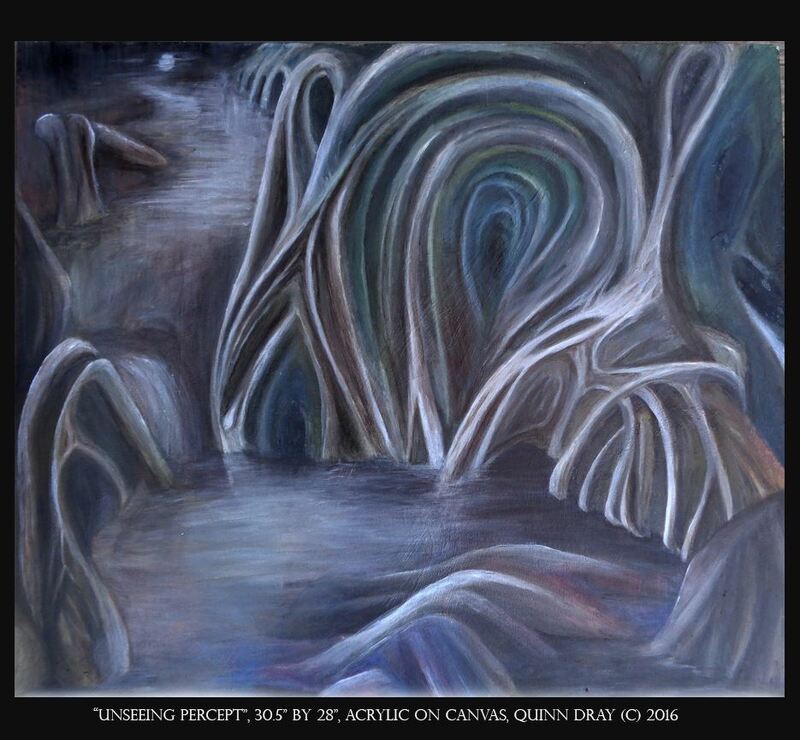 Dray’s art explores these ideas by presenting memories revisited by a soul journeying through the underworld on its way to Lethe as material structures and landscapes within 2D media. Each piece is meant to show the distortion of memories by the strong emotions associated with them and the knowledge that they are soon to disappear. Quinn Dray is a self-taught artist and illustrator currently living in Burlington, VT. His work attempts to capture architecturally complex and emotionally informed landscapes playing with the idea of perception being dependent on the memories and affective state of the viewer. Next Fall Kick Off BBQ!